It is the Landlord’s responsibility to declare all rental income to the Inland revenue if he resides in the United Kingdom. We do not accept any responsibility for Income Tax derived from letting of the property. My Place Properties is legally obliged to file a tax return stating names and addresses for our clients if requested by the Inland Revenue. If you have already received confirmation of self-assessment please provide My Place Properties with a copy of your exemption certificate. If you are an overseas Landlord we are required to deduct an amount equivalent to tax at base rate. However, if we have prior written authorization by the Inland Revenue, we will be able to release rent to you gross of tax. If you have any Tax related questions we would be very happy to help. Just get in touch. 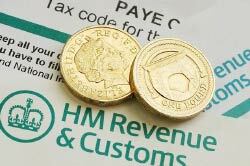 You can also find out more on the HMRC website.